Arecont Vision’s A&E Partner Program is designed to ensure the industry’s leading architects, engineers, and consultants are well equipped with the necessary tools and education to design the best possible megapixel camera system and infrastructure. Participants have access to our A&E Partner Program Portal which provides design tools such as storage, bandwidth and field of view calculators. It also provides A&E specification documents, mechanical drawings, and a database of Visio icons. This enables A&E Partner Program members to more effectively provide project specifications and system designs for Arecont Vision’s industry leading megapixel camera products. Arecont Vision supports A&E Partner Program members in order to help them deliver successful projects. In addition to having a secure web portal, A&E Partner Program participants have access to Arecont Vision products for evaluation and design purposes as well as our Field Application Engineering and post-installation support teams. Having up to date information is critical, so A&E Partner Program members have both printed and electronic information access, including A&E specifications, data sheets, and both video and image libraries. 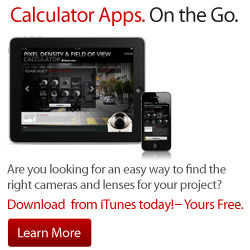 A&E Partner Program members have access to the design tools that Arecont Vision offers including calculators, CAD drawings, and Visio icons. Arecont Vision knows that continuing education is critical for A&Es with the changing technologies that the industry faces today. As a member of the A&E Partner Program, the appropriate Arecont Vision University classes are free of charge.